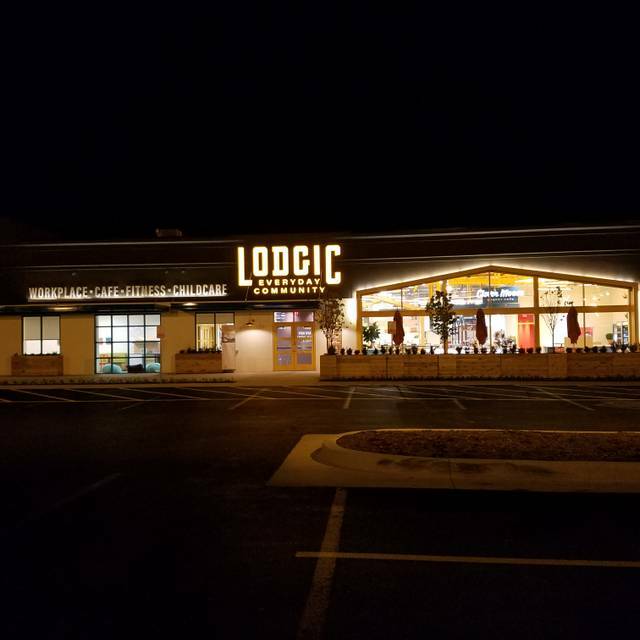 Lodgic offers free parking in our very large adjacent lot. Parking is a breeze! Join us. There are four bus stops in front of Lodgic. Multiple lines travel here, both to Fox Drive and Neil. We offer a full range of catering services, including privately designed menus. We'd love to work with you to build your event. Please contact us for more information. We offer an adjacent event hall, multiple gather rooms in a variety of styles, and a semi-private dining room in our Everyday Kitchen restaurant. Contact us for more details. When it’s time to unwind, settle in for simple, honestly good cuisine and cocktails at Everyday Kitchen. Reconnect with friends and colleagues, or treat yourself to a night out with someone you love. You’ll always find a warm welcome and delicious comfort here. Wine Night, with a side of craft cocktails! During Everyday Kitchen's Happy Hour, enjoy our beloved signature craft cocktails for just $6. On Monday nights, we also offer 1/2 price bottles of select wines. Bring a friend! During Everyday Kitchen's Happy Hour, enjoy our beloved signature craft cocktails for just $6. This special includes creative drinks like our Hot Buttered Rum, Spiced Pear Collins, and more. Food was fantastic and portions generous. Great cocktails! While the food was good, the service was terrible. We went for brunch on a Sunday. After being seated, we were ignored for 15 minutes when I asked someone if I could see our waitress. A few minutes later,a bus boy brought us water and said she would be right over. She apologized saying she didn’t know we were there. We ordered immediately and it took almost 35 minutes to get our eggs and a flat bread. And no update was proved. We were only a table of 2, not a big party. Like I said, the food was good but I like more attention from a wait staff. Interesting dishes prepared nicely. Great salads. We had an awesome time! Out server Eric was wonderful and the food was outstanding. I will definitely be returning in the future! I got the half chicken with fries and Mac and cheese. My mom got the scallops with the broccoli slaw. We also both got the chocolate mousse. It was all great. All aspects of the dining experience were exceptional. My entree was missing an ingredient; the chef happily made me a fresh and complete entree. Most of all we're impressed that this restaurant returns 100% of its profit to a charity that helps children. We arrived at 7pm to a FULL dining room, which warmed my heart!! I was so happy to see this place so busy on a Saturday night!! Although it had snowed earlier today - yes, it was the last weekend in March - the seasonal drink menu had already changed so my husband could not get a hot buttered rum. Despite that minor disappointment, the service was attentive (Thank you, Sunny! ), the food was well-seasoned, plentiful and delicious - for both the steak and the salmon. Our starters, the beet salad and tots, were good, too! My only complaint was that the beet salad was a little "over-dressed" for my liking. Next time I'll get the dressing on the side. If you haven't been to EDK before and the prices seems a bit high for a "neighborhood joint", rest assured, the portions are large and it is EASY to get two meals out of one! Bon appetit! Very good food and great service! A great addition to the Champaign/Urbana food scene. Excellent. Will return there soon. the only good item were my scallops which were nicely prepared. the herbed carrots were almost uncooked and had no flavor. My husband's pork shoulder was awful as were the brusselsprouts with uncrisped bacon. the decor is cold and stark with wooden benches along the walls and very bright lighting. Certainly not where you want a romantic evening. the appetizers were uninteresting. We will not return. Overall it was a good experience. The food was good and the cocktail selection was good. The service was slow but very nice. Ok would recommend you give it a try! Fantastic dining experience for two couples out on the town! We all enjoyed 1/2 price small plates followed by scallops (me) and burgers (hubby) were delicious! Love that this restaurant gives you a special treat for a special event- unlike the “fancy places” in the CU area. We’ll celebrate here again because they’re thoughtful! Everyday Kitchen is a wonderful place to eat lunch or dinner. Sunday brunch is also good with a separate brunch menu. They have excellent service. I've been several times and am always pleased. There are many fresh and healthy choices that taste great. I love the sweet potato mash. Salmon is cooked perfectly. The desserts are delicious, too. My husband and I tried Everyday Kitchen and Bar for the first time on Valentine's Day, and we had a wonderful experience! The atmosphere is very nice, service was great, and the food was delicious. We will definitely be going back! One of the best restaurants in champaign. Great food, atmosphere, and staff. Thank you! The atmosphere was wonderful. A little gem of a restaurant. The only down fall was the food. It had very little flavor. I had the salmon and it was dry and bland. My husband had the pork shoulder and it was flavorless. They gave him a small dish of what they called bbq sauce, but it tasted every bit just like vinegar. The vinegar taste was over powering. The highlight of our meal was the wedge salad, but who can mess that up honestly. Lettuce wedge, blue cheese dressing, blue cheese crumbles, bacon crumbles and tomato slices. I would not recommend this restaurant to friends and we will not be going back. Makes me sad because it is so charming. Hi! Thanks for the feedback. We're so sorry you didn't love it. It sounds like your dinner wasn't up to our standards, and we'd like to make that up to you. We'll send you a private message. Good food in cozy location. Prompt courteous service. Great back story on their charity work. The atmosphere and decor was amazing as well as the food. Their cocktail and appetizer specials until 7:00 is nice. Restaurant week was all good. Highly recommend. Second time to be here and it was as good as the first visit. We were celebrating an anniversary during restaurant week. 3 of the 4 of us had the fixed price dinner special and it was very good. I like the different choices and everything was good. We had the sweet potato rounds, pork and salmon, sweet potato mash, wedge salad and desserts. the wedge is as good as one gets anywhere. that alone is worth a visit. One of our guests is a designer and she loved the look, not what she expected. My wife and I will use this as a "go to" restaurant when in Champaign. I have heard the cauliflower soup is excellent but not had it yet. First heard of this place riding on an American flight to Dallas the stewardess was raving about it while we flew to Dallas. It did not take us long to go and we found it a delightful place. 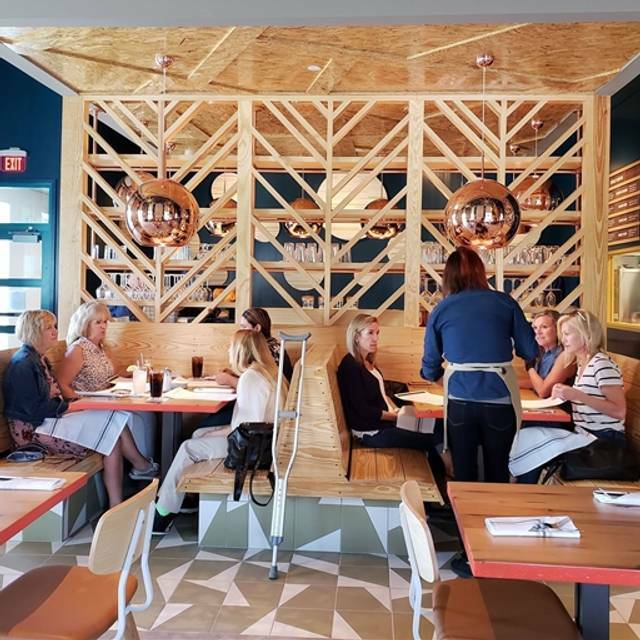 We had not heard of Everyday Kitchen so we checked it out during Restaurant Week. The restaurant was very well designed with nice wood tables, shelves, and benches. The wait staff very attentive, friendly, and helpful. We each tried a different dish and everyone was pleased with appetizers (sweet potato was favorite followed by trio of tots) and the main dishes were all equally well cooked, seasoned, and displayed. The salmon was nice and juicy (the asked me how I wanted it and I replied "Cooked until flaky" and that's what I got. My wife had the pork shoulder with mac and cheese and grilled asparagus. She liked it so much that the leftovers came home and were a full lunch the next day. The deserts were nice (key lime was my favorite). We also wandered over to the Clever Moose next door and had some hot drinks to go. Will definitely return. Good service. Very good food. I love the atmosphere and friendly staff! The food was really good. 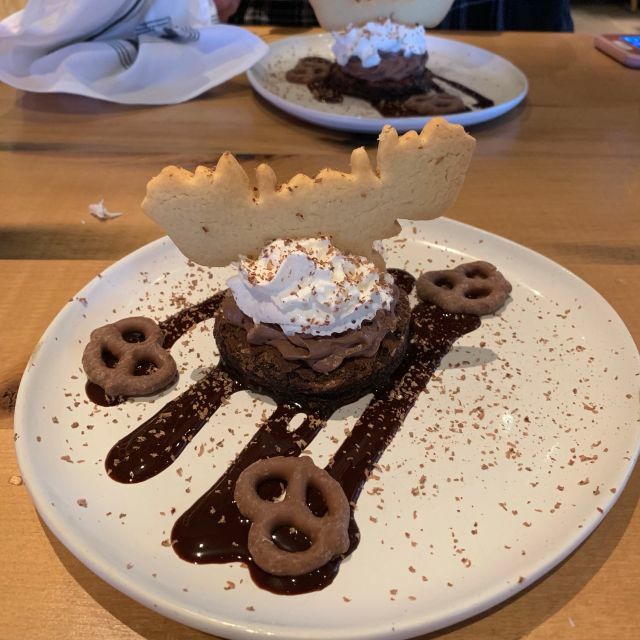 We were happy to learn that this restaurant also supports families in crisis through the Moose Heart orginazation. Best scallops I have ever had! My husband burger was also excellent. Nice wine selection, reasonably priced. We will definitely be adding this to our favorite dining places. Our food was good and our server was delightful...She explained everything and was very attentive. Just New Year's Eve morning a friend showed me the NYE prix fixe menu Everyday Kitchen had posted on Facebook. The chef listed three appetizers, four main courses (pork, beef, fish, vegan) and two dessert options. ALL of the options sounded great!! And for the earlier eaters or those with party plans, the price was $5 cheaper if you arrived by 6pm ($35 vs $40). Having no real dinner plans after our NYE movie, we went. I had eaten @ EK a few times (2 lunches/1 dinner, with a large group - all meals very good!) but my husband had not. We purposely ordered differently from each other, for a wider sample of the evening's fare. There wasn't a thing that was not delicious! The appetizer orders - his beet salad, mine fried artichokes - were beautifully plated and plentiful. His filet mignon was perfectly cooked and tender; my pork fell off the bone and the potatoes and carrots were flavorful and beautifully presented. (I have since gotten two more meals out of the leftovers!!) The only slight disappointment was that they ran-out of one of the desserts - not the one either of us wanted anyway - but had substituted with two additional desserts. My husband had the pecan maple pie and I had the pear turnover (with a side of ice cream!). Both were delicious and the portions were such that we ate about 1/2 of each and took home almost a whole dessert for New Year's Day! The prix fixe menu did not include alcohol; there was a broad selection of "specialty" drinks and good, remarkably low-priced wines. The service was attentive and friendly, never pushy or rushed; thanks Daniel. In any other local restaurant a meal like we enjoyed @ Everyday Kitchen would have EASILY been twice the price. What a great start to the new year! We went for NYE set menu. The food and cocktails were delicious. We sat in the bar and I would have preferred the dining room which seemed cozier especially since we made a reservation. The server lacked in personality and could have made the experience that much better. Overall I enjoyed the food and drink as well as the quiet atmosphere and will return for a lunch date. Our dinner was delicious and the seating was comfortable, although lighting was a little bright for dinner (seating at tables next to the bar). We are definitely recommending this restaurant to our friends. My family and I thoroughly enjoyed brunch last weekend. The service was phenomenal, the atmosphere was beautiful and the food was spot on. Looking forward to returning for dinner! Very good food, service, and prices. We'll come again. We were so impressed after our first experience with Sunday Brunch, we returned for dinner the next Wednesday. Wonderful people make you feel at home. Very helpful answering questions. Range of prices and options to fit budges and appetites. Excellent food. Healthy and vegetarian options available and tasty! We recommended them to a vegetarian friend who called from the restaurant to say how much she loved it! Told several of our other friends, too. We have not been to their coffee shop next door but will try it soon. Recommend the pork shoulder, salmon, cob salad and roasted Brussels sprouts with bacon. We just became regulars! It’s worth the trip to get a Hot Buttered Rum. It’s like drinking your dessert throughout your meal. It’s not for dieters though. Carmelized Brown sugar and ample whipped cream are just two of the ingredients. Special occasion drink!! The atmosphere is nice & trendy, but not stuffy or pretentious. We were immediately greeted with a smile and seated right away. Our server was pleasant, attentive and knowledgeable concerning the menu and able to make recommendations. Decent beer selection (me), but offered some really interesting cocktails (wife). We ended up sharing the kale / sausage / mushroom flatbread, cobb salad, and a burger - all of them delicious. For dessert, the chocolate cola cake, which was recommended by our server and very good - moist & flavorful, but not overly sweet. We will return. While visiting my daughter for the day, found this hidden gem and were very glad we did! From the outside we weren’t sure what we were in for as it’s in a multi purpose facility, but from start to finish it was a treat. All of the staff were friendly and attentive, especially our server, Bridgette. The decor is cozy and fresh. The seasonal menu had many delicious options, for a starter, we had the sweet potato rounds, which were delicious. For entrees we had the Pork Chop and the Scallops. Presentation and flavors were outstanding. The best seared scallops I have had in a long time. To finish the meal the bourbon bread pudding was the perfect dessert for the 20’s weather! I wish I lived in the area because I would love to try again. Highly recommend!!!! Loved this new restaurant! Enjoyed 1/2 price apps till 7:00 on Saturday! Creative and yummy with fantastic service! Great new restaurant option in Champaign! We enjoyed and will definitely be back. What a little known gem. The food and service were both great. Great Restaurant! Try the Corn Ribs, they were amazing! Great service and a progressive concept for a good cause. The food was very good with fresh ingredients. Very good cocktails. The variety of menu items could be better but it is a newly opened. Excellent food and service. Nice wine list. Will definitely be going back.